In the months following the October 2012 parliamentary elections, David Iakobashvili, a Tbilisi-born, Russia-based businessman with a Swedish passport, has acquired several advertising and energy companies that, we believe, were previously controlled by former Defense Minister Davit Kezerashivli (through offshore shell companies). Iakobashvili has apparently been Kezerashvili’s business partner in several energy companies since 2011. Due to the fact that these holdings were through anonymous offshore shell entities and because of his very low public profile in Georgia, Iakobashvili’s involvement only became publicly known after the change of government, when he stepped up his activities. Davit Kezerashvili – a former head of the Revenue Service, former Minister of Defense and close ally of President Mikheil Saakashvili – is currently facing corruption charges. He is accused of having accepted USD 12 million in bribes over several years to cover the smuggling of alcohol from Ukraine to Georgia, including while serving in public office. In February, Kezerashvili, who is residing outside Georgia, was also sentenced to pre-trial detention in absentia for allegedly coercing Joseph Kay into giving up his shares in Imedi TV in 2008. Kezerashvili’s lawyer stated that his client denied these allegations. Kezerashvili has held his assets in Georgia through opaque offshore entities, making it difficult to track beneficial owners and changes in the ownership, as this data may not be reflected in Georgian public documents. Advertising agencies with links to Kezerashvili included, Media Port, Ad Windforce, Ad corporation, BSM Georgia. Dimitri Chikovani, Kezerashvili’s brother-in-law, was one of his frontmen dealing with his businesses in Georgia. In January 2012, Chikovani was the director of Poti Terminal Holding, a company handling energy logistics at the Poti port, linking the port with Kezerashvili. Dimitri Chikovani also served as the holder of a power of attorney from Adprojects, the owner of Outdoor.ge, and still represents Lexor capital, which remains a 30% owner of the Georgian Lottery company. In 2011, Kezerashvili confirmed that he was the owner of Gulf. In November 2012, Sun Petroleum Georgia (operating some 140 Gulf gas stations in Georgia) stated that Kezerashvili had given up all shares in the company. Until July 2012, Kezerashvili also owned LLC Unigroup, which provided exclusive distribution services to Lukoil. Untill 2009, Aleksandre Gogokhia, who was a board member at Georgian Lottery Company, a financial manager at Outdoor.ge and representative of Smod Equity was the director of Universal Capital Group. It is possible that Gogokhia is also one of the people who was managing Kezerashvili’s assets in Georgia. Universal Capital Group owns 60 % in Media Port LLC, a leading advertising agency; 100 % in UCG Trans LLC, a terminal operator in Poti, 24.497 % in Agaris Sugar Company LLC. Before it was sold, Universal Capital Group was owned by Rilf Management SA (Panama), another shell company that might be owned by Kezerashvili. It is represented by Ioseb Mgeladze, who was the director of Universal Capital Group. Rilf management owns with number of companies, including UCG Green Power and UCG Agro. Rilf was represented by Ivane Nakaidze, who until July 2012 was the financial director of Channel Energy, an oil terminal operator at Poti port. Channel Energy is one of the owners of Poti Terminal Holding (32.67%). Until December 2012, Universal Capital Group owned 51% in magazine Tabula. Since December 2012, following the changes in ownership these shares are owned by UCG Green Power, a company owned by Rilf Management SA. The official owners of this Panamese company remain untraceable, meaning that Tabula, which launched television broadcasting in mid-January using the frequency owned by a non-profit organization Civil Education Fund, is co-owned by an offshore-owned company. Tabula Magazine’s co-owner Tamar Chergoleishvili told TI Georgia that Kezerashvili is not connected to Rilf Management SA and that people behind this offshore company are Georgian businessmen. She however didn’t wish to disclose the names. Tabula itself is not the holder of the frequency and is not obliged by the law to disclose offshore owners – an apparent loophole in media ownership transparency rules that ban offshore entities from holding a broadcasting license and require the full disclosure of beneficial shareholders. After the elections most of Kezerashvili’s assets listed above were acquired by David Iakobashvili. Forbes Russia estimates the wealth of Iakobashvili to be USD 950 million. Iakobashvili was a co-founder, shareholder, and Chairman of Wimm-Bill-Dann, a Russian dairy and juice company that was acquired by PepsiCo in 2010 for USD 4.2 bn. He has founded and developed a number of “large agricultural, real estate, mining and entertainment holdings” in Russia, according to a 2011 SEC filing. Iakobashivli currently serves as an independent Board member of Sistema JSFC (he holds .0031% of shares). Sistema describes itself as the largest diversified publicly traded investment company in Russia and the CIS, with investments in telecommunications, high technology, oil and energy, radars and aerospace, banking, retail, mass media, tourism and healthcare services. He has played an active role in the Russian Chamber of Commerce and Industry and other business associations, at the World Economic Forum and at the Senate of Economic Advisers of the European Democracy Forum. Smod Advertising was bought for USD 345,000 via Milarm International Corp (BVI). 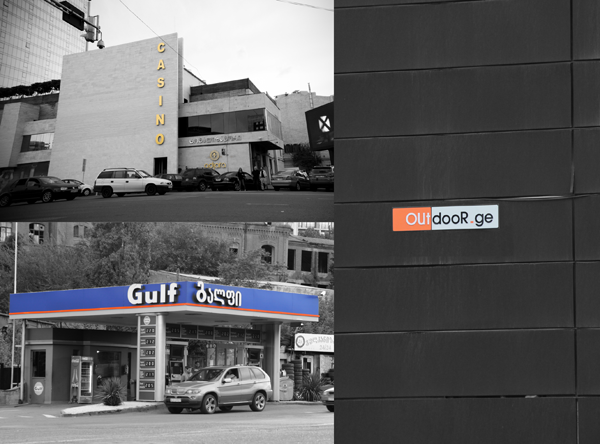 In May 2013 Iakobashvili’s representative in Georgia, Alexandre Beridze, basically confirmed Iakobashvili’s ownership of Outdoor.ge, another billboard advertising company that has de facto controlled Smod Advertising. However change in ownership is still not traceable through Georgian public records, probably do to the reason that Iakobashvili bought the offshore company ADprojects (one of the owner of outdoor.ge) rather than outdoor.ge itself. Iakobashvili acquired Universal Capital Group (UCG) for USD 2 million, which he holds via Gannado Worldwide (British Virgin Islands) and Redeli Management Limited (BVI). Through Gannado Worldwide, he also holds 90% of Casino Ajara LLC, which he acquired in May 2011 for USD 8.72 million. In November, Iakobashvili became the major shareholder in Sun Petroleum Georgia (the company is owned by a Delaware shell company, Energy Investment Venture Holdings LLC). In November 2012, Sun Petroleum Georgia stated that Kezerashvili had given up all shares in the company but did not specify how much of the company is held by Iakobashivli. He increased his shareholding in Petrocas Energy Group from 25% (which he reportedly acquired in 2011) to 80 %. Market observers valued the deal at USD 240 million. Petrocas trades and transports oil products, including for Lukoil, Socar, Rompetrol and Gulf and is active in Georgia, Turkmenistan, Kazakhstan, Kyrgyzstan and Vietnam. In 2012, the company reportedly generated a turnover of USD 800 million. Iakobashvili became the majority shareholder in Channel Energy (Poti) Ltd (held via Channel Energy (Eire) Ltd, Gibraltar), an oil terminal operator at Poti port, which also controls storage facilities. Channel Energy Poti holds 32.67% in the Poti Terminal Holding LLC. Iakobashivli also owns Future Products Company, an energy logistics company affiliated with Channel Energy, owned through Future Products Company (Seychelles). David Iakobashvili has a history of doing business with now Prime Minister Bidzina Ivanishvili in Russia. In March 2012, Ivanishvili’s agro-industrial company Stoylenskaya Niva purchased several bread factories from Iakobashvili’s holding ЗАО Русагропроект (Russian Agrarian Project). Iakobashvili confirmed the deal in 2012 but did not disclose the exact value of the transaction. Ivanishvili then sold Stoylenskaya Niva to Arco International Group, an American-based investments firm for a reported 180 million USD (this income does not appear in the Prime Minister’s asset declaration). An investigation by Studio Monitor and the Georgian Young Lawyers’ Association described Iakobashvili as a shareholder of Akhali Rikhe LLC, a company that in 2006 bought a land plot in central Tbilisi from the city of Tbilisi for USD 7 million. In 2008, the plot was sold back in a controversial deal to Tbilisi City Hall for USD 17 million. In February, Iakobashvili stated that he had had plans to develop the property that fell through and that he was not involved in any criminal activity.